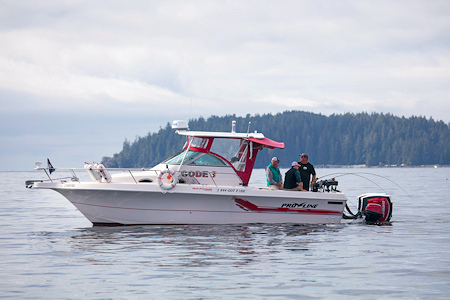 The waters off Ucluelet are some of British Columbia's most productive salmon and halibut fishing grounds. And at Hot Pursuit Charters, we know them well. This is the home of incredible Pacific salmon (Chinook, Chum & Coho) and some very large halibut! Also, there's an abundance of Lingcod and Rockfish. 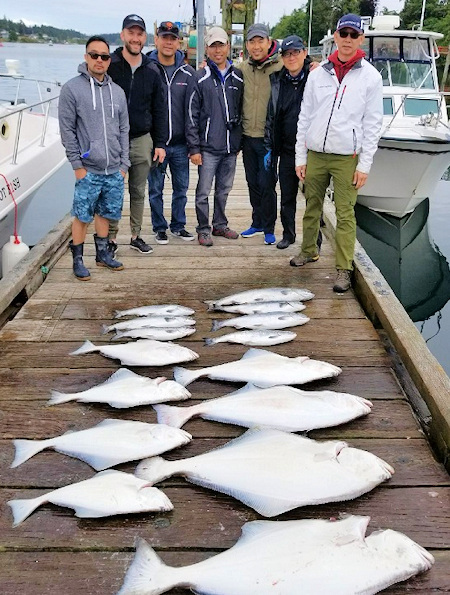 When you are ready to experience some of the most exciting salmon and halibut fishing on the West Coast of Vancouver Island, you can rely of Hot Pursuit Charters. 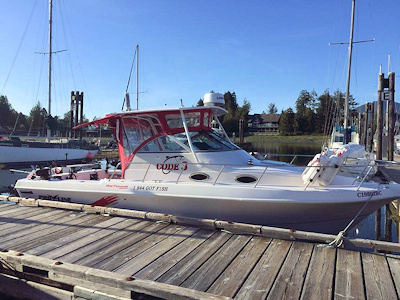 After all, TripAdvisor ranks us as one of Ucluelet's top fishing charters. And, that's because of our happy guests! We are committed in creating a one of a kind experience. 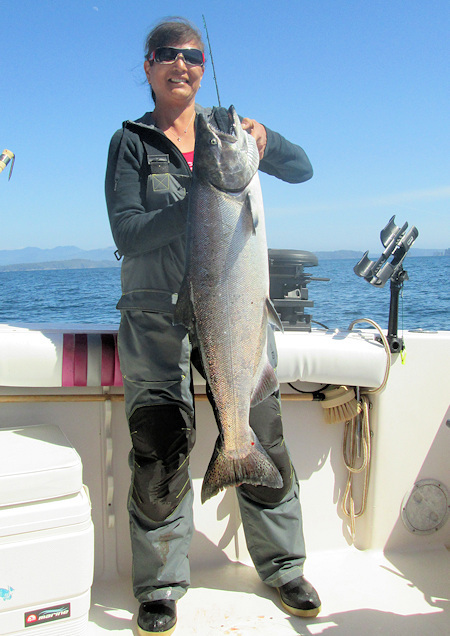 Our guides have decades of experience fishing on the West Coast of Vancouver Island. Our Crew is fully licensed and insured, and have a proven track record of making sure our guests not only catch fish but have a fishing trip to remember. 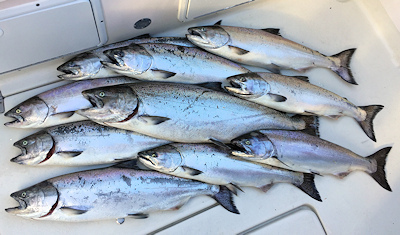 Let us take you sport fishing in Ucluelet BC and we'll do our best to make you want to come back for more! We know that on guided fishing charters it's not only about fish, comfort counts, too! 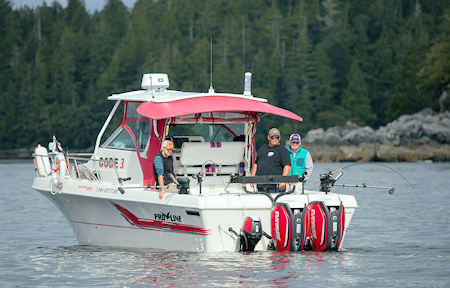 When you fish with us you will travel in comfort aboard our 30 foot Proline boat with new twin Evinrude 225HO G2's. Our vessel has all the amenities to keep you comfortable... like a spacious fishing area, heated cabin and full bathroom facilities. 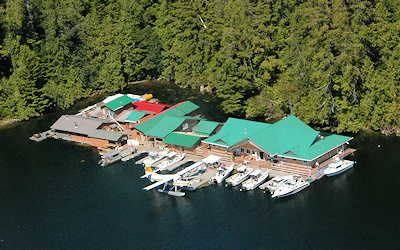 We offer 4 and 8 hour packages as well as an all-inclusive stay at the unique, floating, Barkley Sound Lodge. But we are also happy to can customize any trip to fit you. Whether fishing with a group of friends, or your family, we have room for everyone, and look forward to having you enjoy your time with us. And, we cater to all experience levels, first time fishermen or seasoned professionals. We are located in Ucluelet BC on the West Coast of Vancouver Island. BC is renowned for it's trophy salmon and halibut, But we are also surrounded by pristine nature, and amazing wildlife such as otters, whales, eagles, sea lions, and bears. There is no place in the world quite like Ucluelet, and we are sure you will enjoy our little slice of heaven. 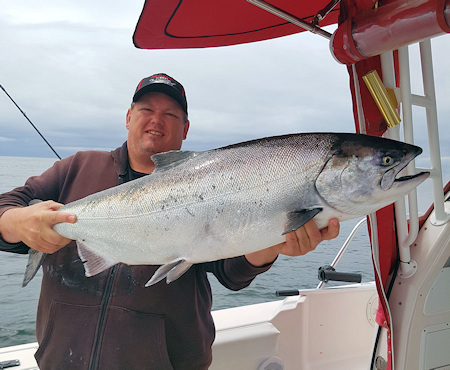 Hot Pursuit Charters has many options for your personal Ucluelet BC fishing charter, whether you go salmon fishing, halibut fishing or maybe both. We have trips ranging from single day trips, to as many days as you wish. We offer an all-inclusive remote lodge option as well, for those who really want to take a break from it all. If you don't want to drive, ask us about our flight options. We can customize any trip to fit your every desire. Whether you are a group of friends, family, your first time out or if you are a seasoned pro, we have room for everyone, and look forward to having you enjoy your time with us. 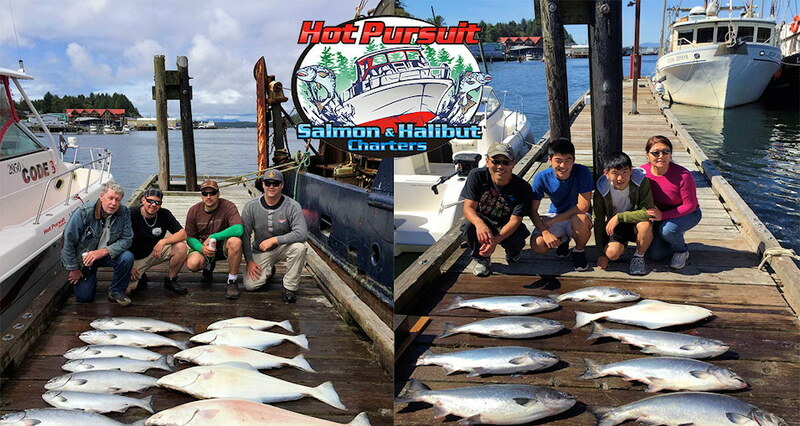 Book your Ucluelet BC fishing charter with Hot Pursuit Charters today to secure a time that best suits your needs. Our Season runs from May to September. 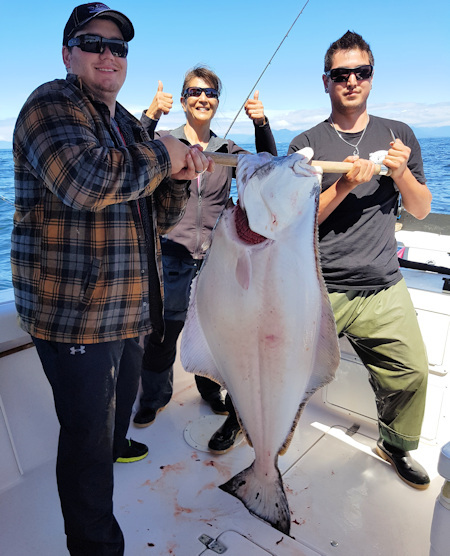 Any questions, Contact us today and we will be sure to make your Ucluelet BC Fishing Charter adventure very enjoyable. 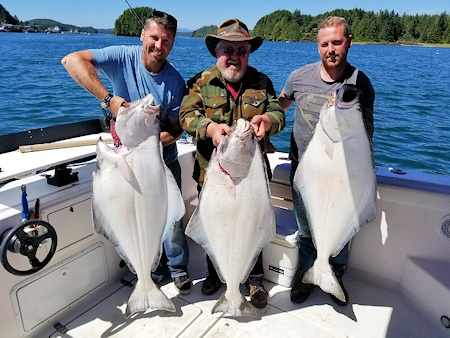 At Hot Pursuit Charters, we pride ourselves on offering the best fishing experience not only in Ucluelet but on all of the West Coast of Vancouver Island. We also offer the best value in our prices. Our single day trips out of Ucluelet and Barkley Sound all-inclusive trips don't have hidden costs, fuel surcharges or tricky fine print guarantees. The all-inclusive trips include all your meals, cleaning and vacuum packing of your catch. Also flash frozen so it's ready for transport back home.